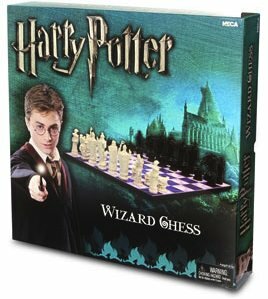 Now you can play wizard chess like Harry and Ron did in the movie. Of course nobody will get hurt while playing this game of chess. The Chess pieces are just like in the Harry Potter movie and that makes it a great collectors item. Have a much closer look at Harry Potter Wizard chess.